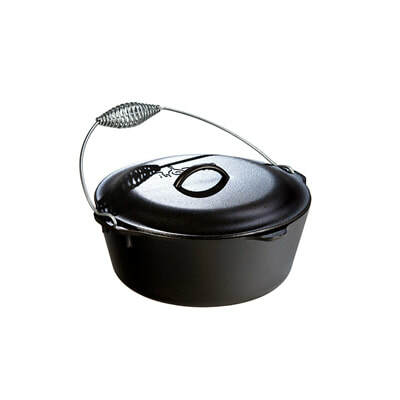 The 7qt Lodge Traditional Dutch Oven with Wire Bail handle has been popular for over a century and is perfect for camp and hearth cooking. It conducts heat evenly with no hot spots and maintains heat for efficiency and cooking control. It's seasoned with vegetable oil and ready to use right out of the box.